Why Eat More Fruits + Vegetables? I was saving this one, but my mom just asked for a vegetarian lasagna recipe and so I felt I had to share it (I would never give her a second favorite recipe). Local caterer Casey Sample of Sample This Fine Catering taught a cooking class to a group of friends a few years ago. When she asked what we wanted to learn, we begged for her to teach us how to make this artichoke lasagna (which I’d ordered for several parties). She shared her special recipe with us and I’ve made it dozens of times since. People request the recipe every single time. While I didn’t make it today, I promise to post a photo of it here the next time I do (until then, the credit for the photo above goes to Shutterstock/Alex Emanuel Koch). 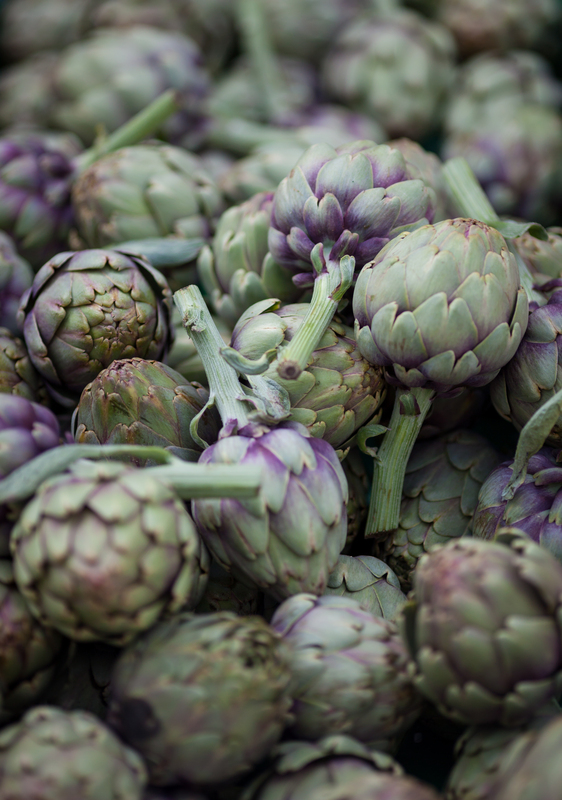 And just in case you need a little more motivation to take the time to make this delicious dish, artichoke hearts offer many benefits – from detoxifying and liver-cleansing effects to cholesterol-lowering properties. Combine Alfredo and 1/3 cup pesto; set aside. Combine parmesan and mozzarella; set aside. Combine oregano and basil; set aside. Combine artichoke hearts with remaining 1 1/2 tablespoons pesto, lemon zest, half of the oregano-basil herb blend, salt (to taste), and pepper (to taste). Set aside. Remove ribs from Swiss chard leaves; set aside whole leaves. Dice the ribs and sauté them with the onions in olive oil over medium heat until tender. Add the zucchini and lightly season with salt and pepper; cook for approximately 15 minutes. Set aside to cool. To assemble, lightly oil a 13 inch by 9 inch pan (at least 4 inches deep). Spread 3/4 cup of the Alfredo-pesto sauce on the bottom. Top it with a layer of lasagna noodles. Spread the sautéed vegetables over the noodles, sprinkle with salt, pepper, and some of the oregano-basil herb blend. Top with half of the Swiss chard leaves. Top leaves with ricotta and sprinkle with remaining herb blend and 1 1/4 cup of the Alfredo-pesto blend. Next add the remaining Swiss chard leaves. Spread the artichoke mixture on top and add half of the shredded cheese mixture. Top this layer with lasagna noodles and finish with the last of the Alfredo-pesto blend and the shredded cheese blend. Cover with foil and bake for 35-40 minutes. Uncover and cook for an additional 15 minutes until the top is golden. Casey Sample of Sample This Fine Catering in Half Moon Bay, California shared this incredible recipe with me a few years ago. And you can order it for a party if you are local! On day 44 of this 365 day project, I ate my daily five (including a green salad with pickled red onions that were an unexpected surprise). Did you enjoy yours?